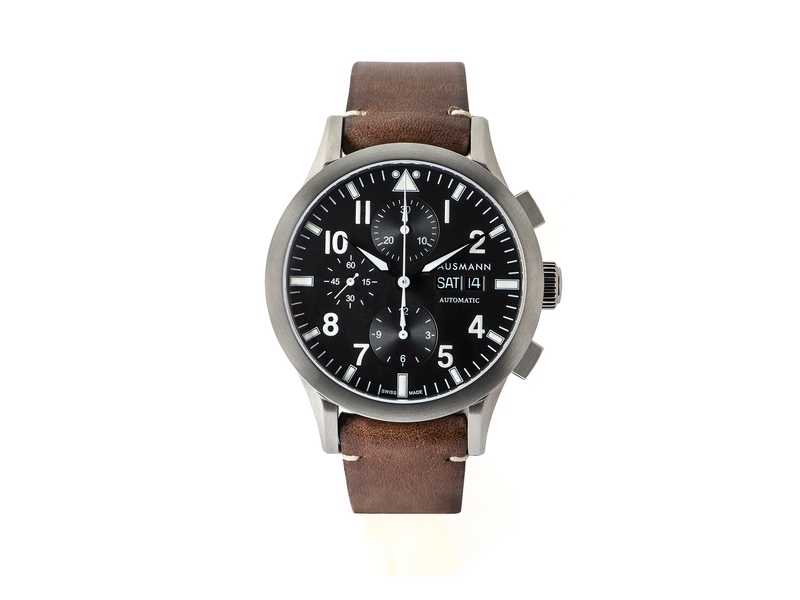 Aviator chronograph by Hausmann & Co. with brushed stainless steel case, diameter 42mm. Sapphire glass. Equipped with a Swiss made chronograph automatic movement with day-date indication. Central chronograph hand and three counters for continuous seconds, chronograph minutes and hours. 25 rubies and personalized rotor. The elegant black dial features three counters garnished with concentric circles. 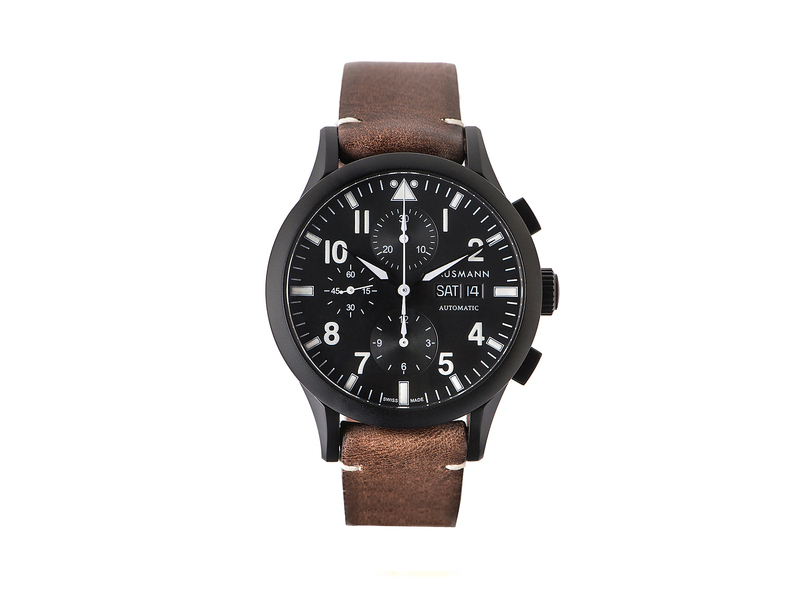 Brown leather strap with light brown seams; pin buckle. Glass back, open on the movement.